We gladly accept credit card orders by phone 8am till 9pm Eastern Time. To enjoy a free excerpt from The Art of Bird Photography II (916 pages on CD only), please click here for the viewing instructions: www.birdsasart.com/abpinstructions.pdf (You will need Adobe Acrobat Reader to view all of these items; you can download the latest version free here: http://www.free-program-download.com/acrobat/). The excerpt is from the Equipment chapter and includes the image galleries for the Canon 500 and 600mm F/4 L IS lenses. And each image includes our legendary educational captions. Enjoy. Jim Neiger is a good friend, a skilled photographer, and a solid instructor. 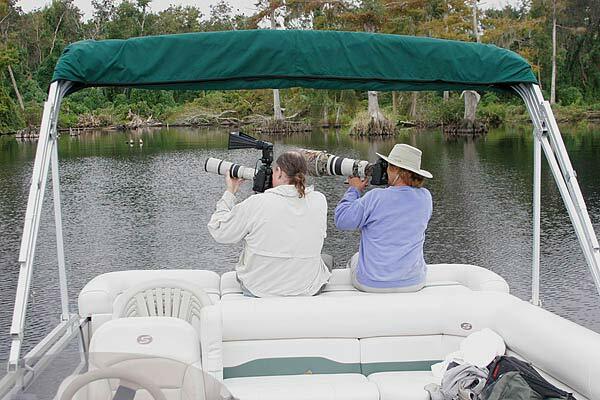 He knows Central Florida’s birds and photographic locations better than anyone. 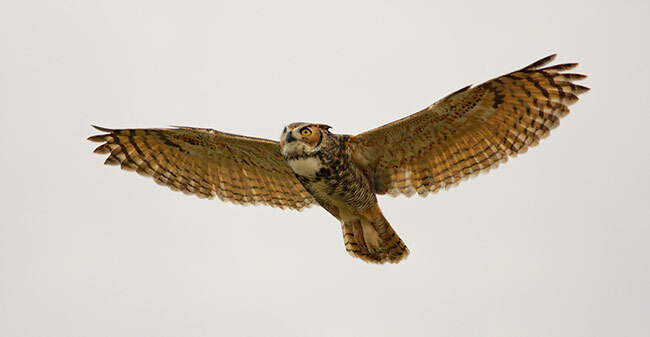 For the past year or more, Jim has been teaching anyone who will listen how to hand-hold a 500mm lens for both birds in flight and for static subjects. Jim has just purchased a great new pontoon boat. The boat is large, roomy, and stable. He has scheduled a series of spring workshops and is offering individual and small group days and custom-designed trips as well. 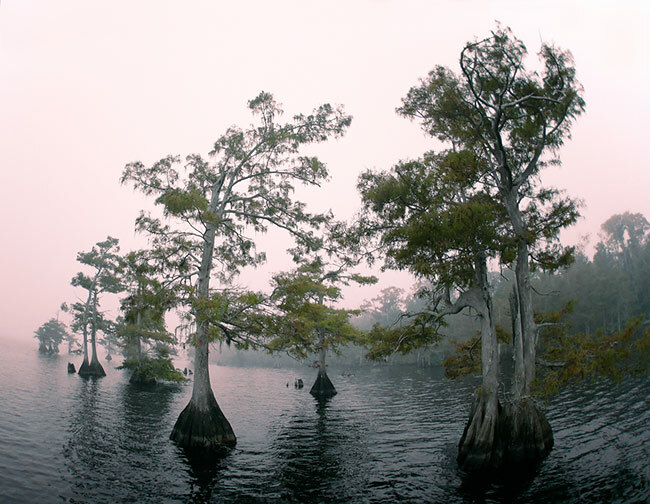 The workshops will be held in some of the most beautiful, wild, and unspoiled wilderness areas of central Florida. Each workshop will include five morning and four afternoon photography sessions of three to four hours in duration. 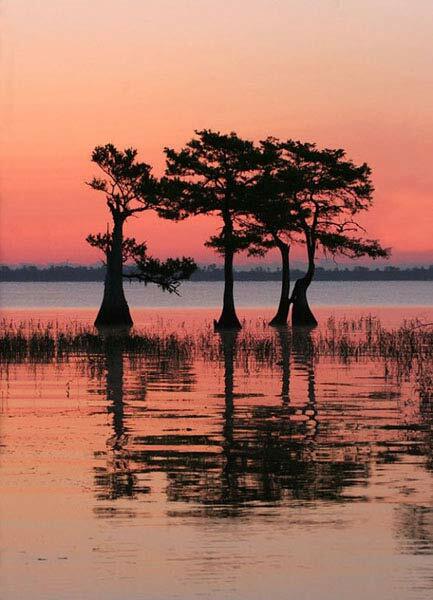 Five of the nine sessions will (weather permitting) be conducted on beautiful Lake Blue Cypress on Jim’s 2007 pontoon boat which has been customized for photography. The four land-based sessions will be held in various remote areas of southern Osceola County. The workshops are limited to five participants so that everyone may photograph in comfort and receive personalized instruction. 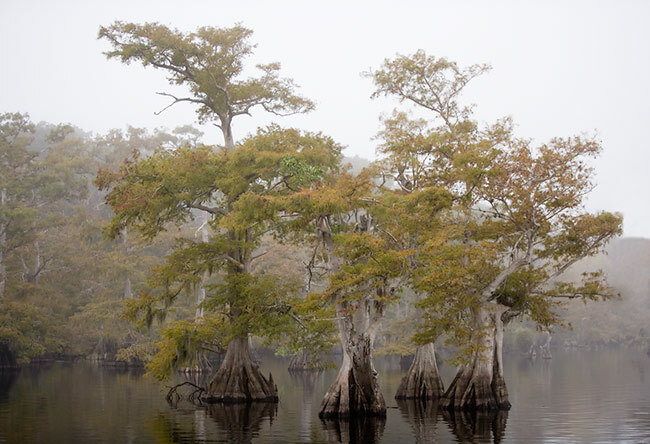 Workshops include three formal classroom instruction sessions, five photography sessions via boat (weather permitting), and four photography sessions in the field. Drinks and snacks will be provided during each of the photography sessions. The workshop also includes a welcome dinner on the first evening and a farewell lunch on the last day. A $199 non-refundable deposit is required for all workshops. The remaining $1100 is due 45 days before the date of the workshop. Credit cards are not accepted. FSPW also offers private and small group workshops which include personalized in-the-field instruction and are tailored to the goals of the participants. Private workshops are a great way to extend your workshop experience or get personalized instruction and guide services. These workshops may be conducted on land or by boat and may occur in any of a number of locations in the central Florida area. 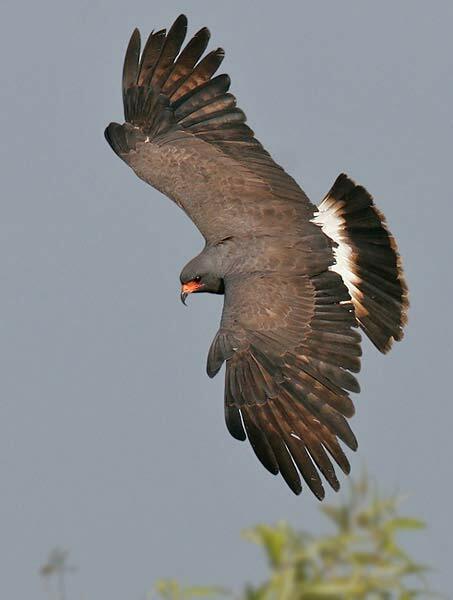 Folks interested in photographing Snail Kite can plan a trip to West Lake Toho. Private workshops for 1-5 participants. Contact Info: If you have any questions, please contact Jim Neiger via email at jimn@cfl.rr.com or via cell phone at 1-407-247-5200. For additional details including itineraries and cancellation policies visit the Flight School website at www.flightschoolphotography.com. 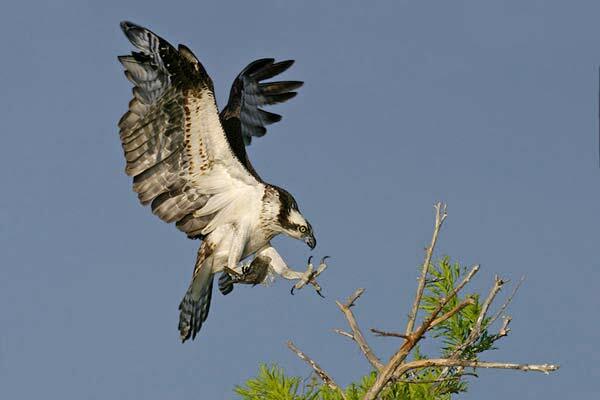 If you would like to photograph this difficult species, plan an outing with Jim to Lake Toho in Kissimmee. Due to a cancellation, there is a single opening on Bosque IPT #1. If you would like to register, please e-mail or call first and then send your deposit check. Please call to learn of our late registration discount. Bosque #1: "The Fall Color IPT" NOV 14-16, 2006. 3-DAY: $929. Slide Program on the evening of NOV 13. (One opening.) This IPT should feature a better chance for a day or two of the rare south winds that drastically improve flight photography and will definitely feature the brightest fall-color cottonwoods. Jim is the master of handheld flight photograph with big lenses. He has taught me more than a thing or two. Frans Lanting is from the Netherlands, so his name ends with an "s." A German Franz would end with a "z." Converted RAW file above. Optimized image below. Canon 70-200mm IS L lens at 70mm (handheld) with EOS-1Ds Mark II. ISO 400. Evaluative Metering +1/3 stop: 1/125 sec. at f/11. We still have room for lots more folks. 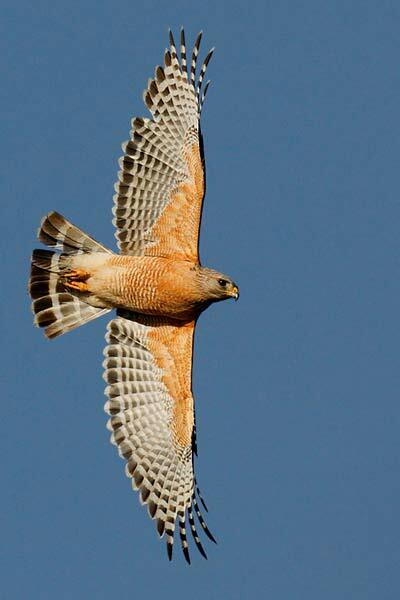 The Albuquerque “The Art of Nature Photography; It Ain’t Just Birds” Weekend Seminar will take place at the Park Plaza Hotel, 2500 Carlisle Boulevard NE in Albuquerque on December 2-3, 2006. Saturday will be devoted to learning the techniques needed to create pleasingly designed, technically perfect images of natural history subjects. 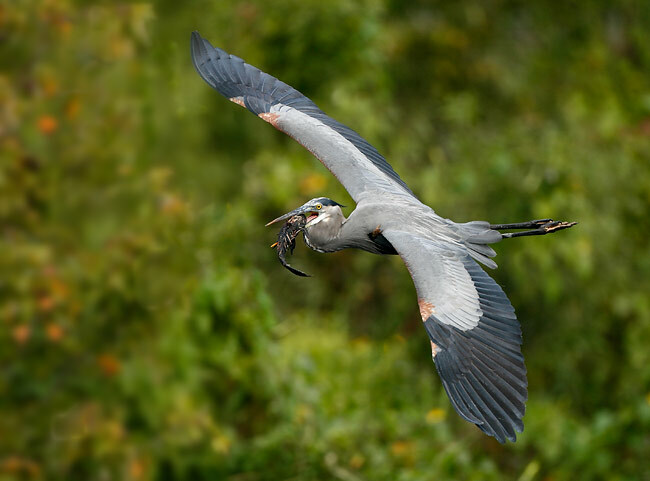 Saturday topics will include getting the right exposure, advanced composition and image design, making sharp images, creating effective motion and zoom blurs, using flash as fill and as main light, and tips for getting close to free and wild birds and animals. Sunday will be devoted entirely to Digital Photography and Photoshop with much of the time being spent on live Photoshop demonstrations. On our IPTs I see many great photographs that are ruined because folks have no clue as to how to effectively optimize their images. Join us to learn how to make your images look great in minutes. We are now accepting registrations. Paypal is best but we will be glad to take your credit card information by phone (863-692-0906) or to cash your check. If sending a check, please make it out to “Arthur Morris” and send it to us at BIRDS AS ART, PO Box 7145, Indian Lake Estates, FL 33855. Be sure to include your snail mail and e-mail addresses and your day, evening, and cell phone numbers. The cost of the weekend seminar is $159. The cost of either single day is $99. Register with a friend or spouse and take $10 off each registration. Register with three or more friends and take $20 off of each registration. Here is our Cancellation Policy: If for any reason you need to withdraw, please notify us ASAP. Once we receive your e-mail, phone call, or written notice of your cancellation the following fees apply: cancel before September 2, 2006 and your fee will be refunded less a $20.00 cancellation fee; cancel by November 2, 2006 and your fee will be refunded less a $50.00 cancellation fee; cancel after November 2, 2006 and there will be no refund. That’s me handholding the 400mm f/5.6L lens. Good buddy Linda Robbins is to my right handholding the 500 IS. Please add $7.00 per order shipping and handling. Florida residents please add 7% sales tax to the cost of the cards only. Linda created this exceptionally sharp image while handholding the 500 IS and an EOS-1D Mark II N. I was asleep at the switch… Linda has been working hard to learn to work in Manual Mode and did so successfully here. 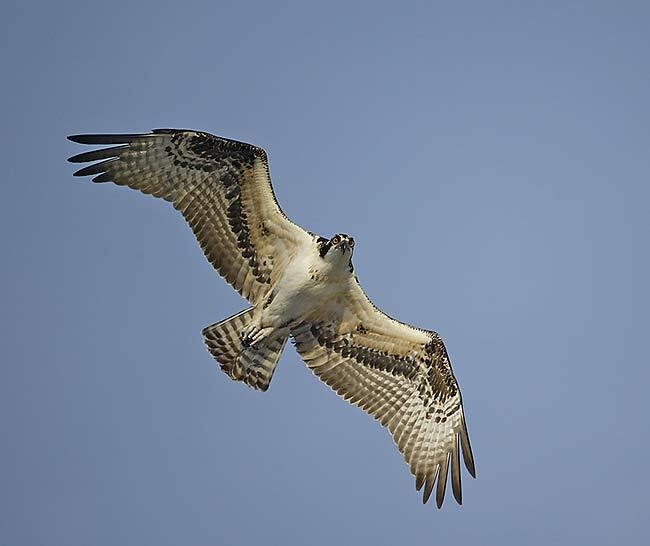 If you are adding lots of light while working in white sky conditions and the bird drops below the horizon, you will overexpose by several stops if you are working in Av Mode… Working in Manual Mode gives you the right exposure for the subject in a given lighting condition. Here is an excerpt from ABP II (http://www.birdsasart.com/ABPII.htm) for those who need help with working in Manual mode. Many professional and serious amateur photographers work in Manual mode most of the time. I do not because working in Av mode and entering exposure compensation is faster whenever the background is of a relatively constant tonality. When the background tonality is changing from moment to moment but the light is constant, it is best, however, to work in Manual mode. In either case, I rely on Evaluative Metering. Here are some examples of rapidly changing backgrounds: a shorebird on a rock along the edge of the ocean with waves breaking behind it. Birds flying against a blue sky with occasional white clouds. Cranes flying by in front of a variety of backgrounds that might include sky, mountains, yellowed grasses, or water. As many folks are confused as to how to work in or set exposure compensation when working in Manual mode, I offer the following basic tutorial. #2: After selecting Manual mode, point your camera at a scene or stationary subject and lock your tripod head so the framing remains constant. Next select and set the desired aperture. Then adjust the shutter speed until the analog scale in the viewfinder nulls out to zero. With Canon pro bodies this scale is laid out vertically along the right side of the viewfinder display (when you are working in horizontal format). With many of the pro-sumer bodies the analog scale is laid out horizontally at the bottom of the viewfinder display. The zero or null indicator is at the center of the analog scale. The three full stops above the null symbol (marked in 1/3-stop increments) indicate overexposure. The three full stops below the null symbol (also marked in 1/3-stop increments) indicate underexposure. If you change the aperture and you do not see the small square moving, check either the top or the bottom of the analog scale. You will note a small triangle at the top if you are way overexposed or a small triangle at the bottom if you are way underexposed. If the former, rotate the dial and choose faster shutter speeds, if the latter, choose slower shutter speeds. In either case, you will soon see the small square moving up or down the analog scale. At first, you will simply want to practice nulling the meter, that is, getting the small square to rest on the null symbol. This indicates that you have now set the metered exposure (as determined by the camera's Evaluative Metering system. Canon 400mm f/5.6L lens (handheld) with EOS-1D Mark IIN. ISO 800. Evaluative Metering +2 stops off of sky: 1/1000 sec. at f/5.6. Jim Neiger is the bomb when it comes to attracting owls with a CD of their call. 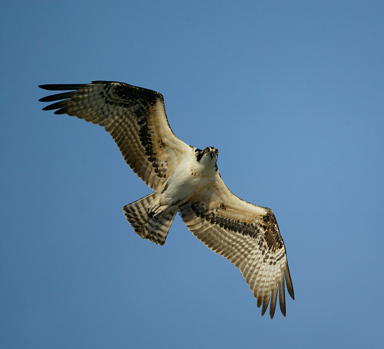 Jim’s workshops will include all of his tips and tricks for using recordings to draw a variety of avian subjects into photographic range. This image was created on the late afternoon of November 2. We have three deposit checks for this trip. I will be going no matter what. If you are interested in joining me in Iceland one way or another in June 2007, click here http://www.birdsasart.com/bn212.htm and then get in touch with me ASAP. Canon 20mm fish-eye lens (handheld) with EOS-1Ds Mark II. ISO 800. Evaluative Metering +1 stop: 1/400 sec. at f/2.8. Jim does not mind getting up early. We were out on the lake well before dawn. Canon 70-200mm f/2.8L IS lens (handheld at 73 mm) with EOS-1Ds Mark II. ISO 400. Evaluative Metering +2/3 stop: 1/125 sec. at f/8. Jim put the boat right where I needed it to create this horizon-less image. On Thanksgiving Day, 2006, I will again be hosting a photographer's lunch for those lucky enough to be visiting Bosque Del Apache during the holiday season. With the unfortunate demise and closing of Socorro's ValVerde Steakhouse, we were hard-pressed to come up with a good place to eat last year. At the last moment, someone suggested that we try the Luna Mansion (http://www.ghostinmysuitcase.com/places/luna/index.htm) about 40 miles up I-25 in Los Lunas, New Mexico. Wow! We had great food--fine dining in fact--in a glorious setting. This elegant restaurant occupies a historic landmark building that was constructed in 1881. I have made arrangements this year for lunch for up to 50 folks to dine at 11:30am sharp. Canon 500mm f/4 L IS lens (handheld) with EOS-1D. ISO 400. Evaluative Metering +1/3 stop: 1/2500 sec. at f/4. 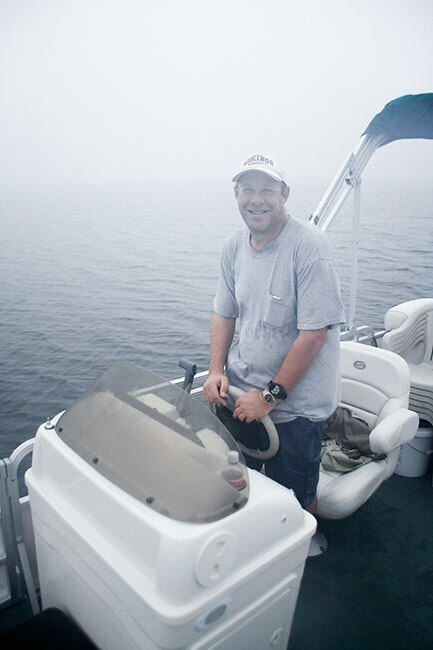 Here is an image that I made in 2003 on Jim’s old boat. I have learned so much in Photoshop that I re-did the image as I was creating this Bulletin. (See below). We advise folks to keep their RAW files so that they can re-do favorite images as they get better at Photoshop. I have a used old-style Wimberley head for sale for $450 plus $15 shipping. The head is in excellent condition. I will need a check only for this one. Please contact us by e-mail (birdsasart@att.net) or phone (863-692-0906). This image was also created on Jim’s old boat. Bosque #2: "The Pre-Thanksgiving IPT" NOV 19-21, 2006. Slide Program on the evening of NOV 18. 3-DAY: $929. (Sold out.) This and the next IPT have sold out for the past eight years. If you are interested in attending the Thanksgiving Day luncheon in Las Lunas, please contact us via e-mail. This IPT will feature increasing numbers of geese and cranes with lots of great opportunities. Bosque #3: "The Post-Thanksgiving IPT" NOV 25-27, 2006. 3-DAY: $929. Slide Program on the evening of NOV 24. (Sold out.) This IPT has sold out for the past eight years as it is scheduled on dates that I consider peak for Bosque. If you are interested in attending the Thanksgiving Day luncheon in Las Lunas, please contact us via e-mail. Bosque #4: "The Full Moon IPT" DEC 4 (mid-day) through DEC 7 (mid day), 2006. 3-DAY: $929. (Sold out.) Slide Program mid-day on DEC 4. Co-leaders include Manuel Presti, 2005 Wildlife Photographer of the Year, and Robert Amoruso. This IPT includes a half day of photography on the 4th, two full days of photography on the 5th and 6th, and a final half day on December 7th. Limit 14. This IPT has been scheduled to maximize the opportunities to include the rising and setting full (DEC 5) and near-full moon in your images. There will be lots of the usual chances as well, and this time period has provided more than its share of spectacular sunrises and sunsets over the years. SW FLA Post X-mas IPT: DEC 27-29, 2006. Slide program on the evening of Tuesday, DEC 26. 3 -DAY: $1029. (Limit 14, Openings: 9.) Co-leaders: Alfred Forns, & Robert Amoruso. Sanibel Island, Little Estero Lagoon, Venice Rookery, Cape Coral. Herons, egrets, gulls, terns, skimmers, shorebirds, both pelicans, Osprey, Burrowing Owl, and lots more. San Diego IPT: FEB 3-6, 2007. 4-FULL DAYS: $1359. Introductory slide program on the evening of Thursday, FEB 2. (Limit 12, Openings: 4.) LaJolla, Shores Beach, Coronado, and Santee Lakes. Brown Pelicans, Heerman’s & Western Gulls, Marbled Godwits & lots more shorebirds, Wood & Ring-necked Ducks & Lesser Scaup. And lots more. SW FLA President's Holiday IPT: FEB 17-21, 2007. Slide program on the evening Friday, FEB 16, 2007. 5-DAY: $1649. (Limit 14; openings 3.) Co-leaders: Robert O’Toole, Alfred Forns, & Robert Amoruso. 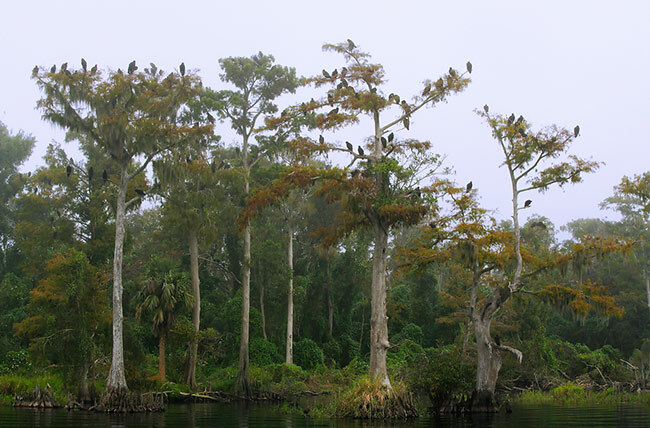 Sanibel Island, Little Estero Lagoon, Venice Rookery, Cape Coral. Herons, egrets, gulls, terns, skimmers, shorebirds, both pelicans, Osprey, Burrowing Owl, and lots more. Fort DeSoto IPT: APR 13-15, 2007. Slide program on the evening of Thursday, APR 12. 3-DAY: $999 Limit 14: (Openings: 3.) Co-leaders: Robert O’Toole, Alfred Forns, Robert Amoruso, and Todd Gustafson. Courtship and breeding behaviors of Laughing Gull and Royal and Sandwich Terns. 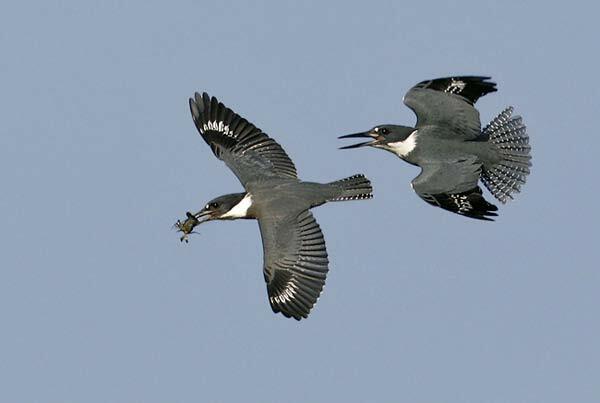 Herons, egrets (including both dark and light phase Reddish Egret), shorebirds (including Long-billed Curlew), gulls, terns, and skimmers among others. Silver Salmon Creek: August 8-14, 2007. Coastal Brown Bears catching salmon, Horned Puffins, macro, scenics, and fishing (optional): $4999. ( Limit 12: openings: 2) Three leaders, two TBA (plus me <smile>. Kenya 2007 Gustaphoto/BIRDS AS ART Photo-Safari/Sept. 11-27, 2007: 16 days on the ground in Kenya: $9,499.00. Todd and I will be returning to Kenya again in 2007, leaving the US on September 10. We never take more than 15 photographers so that we are limited to five vans, three photographers per van. Period. We already have 12 slots filled. Here are the basics: A non-refundable $1,000 deposit is required. A second payment of $4,499.00 is due by March 1, 2007, and the final payment of $4000.00 is due June 1, 2007. All deposits and payments should be sent to: Todd Gustafson, 2122 Elmira Ave, Des Plaines, IL 60018. Please make the checks out to “Todd Gustafson.” Thanks <smile>. We cannot guarantee a single supplement at this time but do contact us if you are interested. Note: when comparing safari prices please note that most tour companies include one of two travel days on each end of the tour when stating the number of days… Our 16 days on the ground includes 16 days that we will be photographing. Please e-mail for a detailed itinerary, but do note that the itinerary is subject to change at any time at the discretion of the leaders should such changes be needed to improve the photographic opportunities for the group. Lodgings will of course be comparable. The registration fee includes food, lodging, ground transportation and airport transfers, driver guides, game park entry fees, and our round trip flight from Nairobi to Mara. Not included are the Kenya Visa fee ($50.00 US), personal items, all beverages, driver and staff tips, and phone, fax, e-mail or laundry charges. There is no “non-photographer” rate. 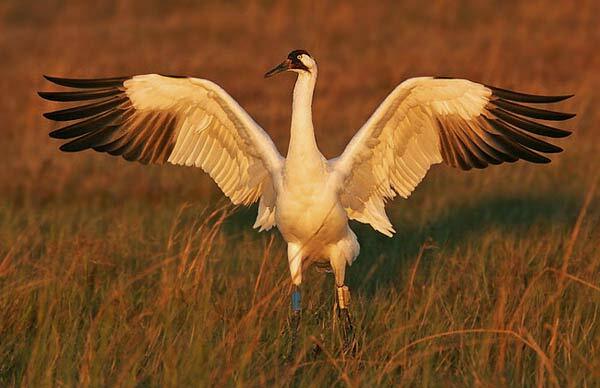 On our recent outing we found three Whooping Cranes. Free shipping for all orders (except for printer orders…) for BIRDS AS ART subscribers and Bosque IPT registrants is being extended until November 22, 2006. Canon is offering large rebates on the Canon 5D, 24-105 IS L lens, 70-200 IS, 100-400, 180 macro, 580 flash, MT24EX, 30D, and many other items. If you are interested in learning of the details, please contact Gary Farber as above. Ask about prices for the Canon 500F4, Canon 400DO lens, CPE3 battery, and the Canon 1D Mark II N.
Canon will be shipping the Pro 9000 Printer this month. Call to reserve yours. Pre-orders are now being taken for the Epson 3800 printer and the Epson P3000 and 5000 storage device. Presently in stock are the Nikon D200 bodies and Nikon 200-400 lenses. Ask about the price on Epson 4800/7800/9800 inks and paper. A $25.00 mail in rebate is being offered on the purchase of a Bogen tripod and head combined. Contact Gary Farber for all your photo, digital, and printing needs. Canon 70-200mm f/2.8L IS lens (handheld at 70 mm) with EOS-1Ds Mark II. ISO 400. Evaluative Metering +2/3 stop: 1/640 sec. at f/2.8. 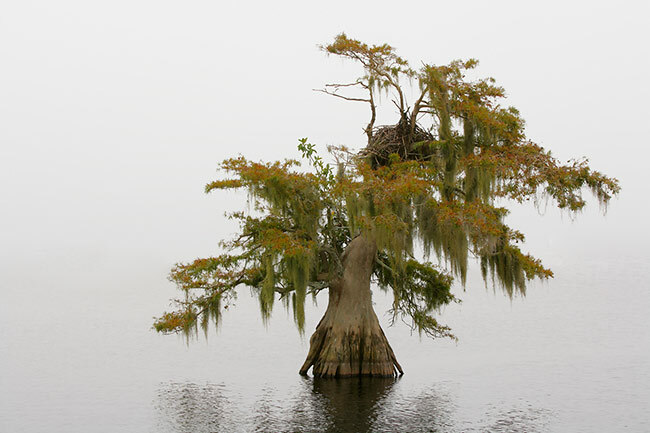 Lake Blue Cypress is a beautiful place, 70-200 is a versatile focal length range.